A good learning Environment is essential. There needs to be clear boundaries around it; learning is special and the world out there shouldn’t barge in. The learning then needs to be put to work in the world out there, of course, but I’m a great believer in a special space to learn first. The company of like-minded people is important too: learning is a shared journey. 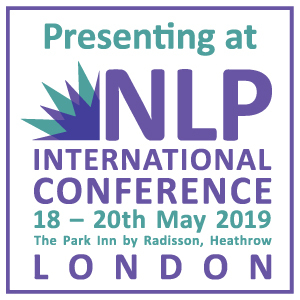 NLP is physical as well as mental, so Behaviours matter. Not just politeness and respect for other students, but the physical state of the participants. This is why I like to begin sessions with a meditation, to move the mind on from any chat during breaks (such chat is an important part of learning, but now it’s time to re-engage). Capabilities come with practice. 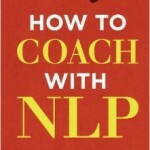 NLP is something one has to practise in order to have any real sense of how it works and what is going on. I always get students to work through the processes I teach – first I give a demonstration, then they do it for themselves. The best students often form groups after the course, and meet monthly to rerun the processes – or refresh their knowledge by ‘resourcing’ on a course. 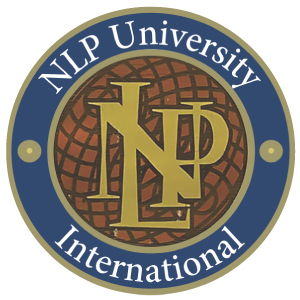 NLP makes a big thing of not being a system of Beliefs or Values. It is, we are told, just a set of models that the individual is invited to try and see ‘what works’. I’ve always felt this a little naïve. 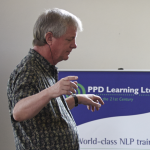 On Day One of training, we talk about the Presuppositions of NLP – a set of beliefs. If you don’t accept most of these, then NLP probably isn’t for you. None of them is scary or authoritarian, but I like to feel they challenge conventional wisdom. Likewise, I like to think a set of values underlies the way I teach NLP: respect for my students, broad-mindedness, and a touch of scepticism even about NLP itself (this is wonderful stuff but it’s not Holy Writ). NLP contains excellent processes for changing unhelpful beliefs and prejudices. Values are more complex: I teach people to list their values then rank them – often an instructive experience. The level of Identity is probably the one at which it is hardest to learn or change. The information in our minds about ‘who we are’ seems to be hidden away in areas that are hard to access, like a powerful set of instructions deep in the kernel of a complex computer programme. From this position of secret, unaccountable influence, Identity exercises huge control over our lives. On the Practitioner course, we use processes like the Hero’s Journey and my own Rescripting Process to work at this level. 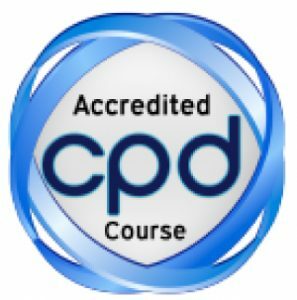 I go into the topic in even more depth in the Master Practitioner course. Finally, we come to Mission. This is more conscious and less tricky than Identity. The skill with Missions is to create one that will actually work: something that suits who you really are (Identity, Beliefs / Values) and that you are in a position to actually carry out (Capabilities, Environment). Ideally, all our Logical Levels ‘align’. In the real, imperfect world, avoid major clashes between any of them. The Seven Parallels, which I created myself and teach on my Practitioner Course, is a way to make us aware of any potential clashes. There are then tools for sorting out any major misalignment. My students often feel calmer and much more focused after such work.